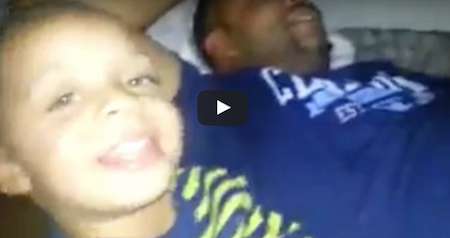 Kids say the craziest things and sometimes at the most inappropriate times, right! If you have a kid, you know exactly what I’m talking about. But what you do when your child snitches on you for something that maybe you didn’t do? Well, you can see the dad’s reaction – deny, deny, deny!